Knee pain is no joke. The knee joints are an extremely integral part of movement, so when you walk, run, or jump, your knees bear the burden of your weight. If you don’t address the issue, the pain will increase as you age. Dr. Charles Arndt and Dr. Debarun Borthakur, from Chiropractic Health and Wellness Center, provide excellence in knee pain management at the clinic in Sterling, Virginia. "I have felt a huge improvement in my posture and my pain has reduced significantly." 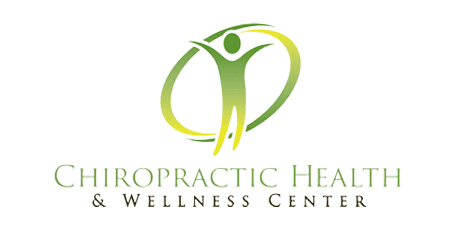 "If you are considering chiropractic treatment, you will not find a better doctor." "Awesome all around... I definitely recommend." "Very polite, cooperative, and understandable. They are the best." What are the main causes of knee pain? Knee pain is commonly caused by injury to the joint, as a result of movement, weight load, or aging. Certain athletes are especially prone to knee injuries due to the type of action involved in their respective sports. If a sport involves running, sudden changes in direction, or the stress of additional weight, participating athletes are more likely to suffer from knee injuries. Because the knees carry a significant percentage of a person’s weight, people who are overweight are also more liable to suffer from knee pain. The result of knee pain is decreased mobility, making exercise difficult for patients who are already struggling with weight problems. Joints constantly move throughout a lifetime, and most knee injuries are degenerative. With age, the joints you use the most suffer from degeneration, especially if they were injured earlier in life. Is there an effective treatment for knee pain? Knee pain treatment at Chiropractic Health and Wellness Center focuses on addressing the cause of the pain. Treating the injury alone is not enough. It's important to determine the recurring factors that are contributing to your knee pain and figure out how to alleviate them. Anything less is no more than a temporary solution to a long-term problem. Not all treatments may be focused solely on the knee area. Improving overall wellness techniques can help reduce pressure and stress on the knee, as well as help accelerate healing. Is chiropractic treatment the same as rehabilitation? Strictly speaking, the two aren’t the same. While chiropractic treatment addresses the cause of the pain, a recovery program deals with the restoration of mobility and flexibility to the joint. Both approaches aim to provide pain relief and improve function. However, only rehabilitation and preventive lifestyle changes can help you avoid injuring the joint again. Rehabilitation will help you regain your mobility. A movement profile will provide you with essential information on how your knee injury occurred. Through rehabilitation and educational counseling, you can change how you move. The result is movement re-education, which will help you reduce the weight load on the impacted knee while giving it more strength. Chiropractic Health and Wellness Center also provides a comprehensive weight loss program that works. When all else has failed, the doctors can help you lose weight and take the pressure off your knees. The methods are grounded in science-based medicine. With Chiropractic Health and Wellness Center in your corner, you can lose those extra pounds and get relief from your knee pain. We accept the majority of health insurance plans. Please call our office if you do not see yours listed or have any other questions. "After a 40 week treatment, my symptoms are completely alleviated! This was three years ago, and I still do not have pain in my lower back. Thanks a lot!" "Only good things to say here. The staff is amazing, courteous, and even funny. You'll always leave with a smile. Highly recommended!" "I just started about 3 weeks ago but I can see already some improvements. From the front desk to the doctors - everyone is just amazing." "If you want someone you know will take care of you, it's them. Great place!"